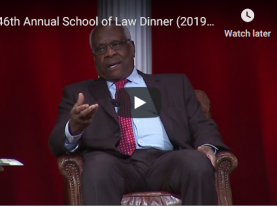 To reiterate, our goal in this program is to reflect on the lasting impact the Supreme Court has had on race, both in law and in American society. In light of Black History Month, many of our contributors focus on the Court's historical impact on the black community. The topics reflect diverse and sometimes divergent views, opinions, attitudes, and assumptions. 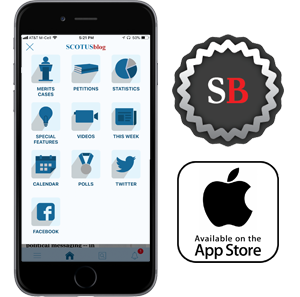 This diversity adds to the value of the project and reinforces the mission of SCOTUSblog to provide relevant, credible, and balanced Supreme Court coverage. Drawing special attention during Black History Month to the legacy of legal issues pertaining to Race and the Supreme Court, we believe, will expand public knowledge and awareness of the Court's centrality in shaping American history. We extend sincere thanks to the law professors, litigators, historians, journalists, and other top professionals who have donated their time and resources to this project. The role of the Supreme Court in thwarting the first Reconstruction and limiting possibilities for civil rights law until after the Second World War. John Brittain, professor at the University of the District of Columbia, David A. Clarke School of Law and former dean of the Thurgood Marshall School of Law at Texas Southern University.